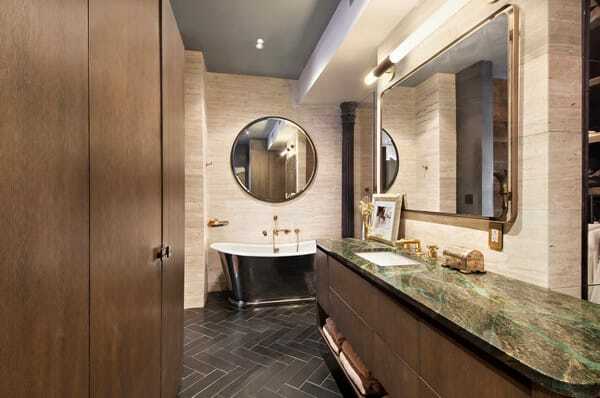 Musician John Legend and his wife, model Chrissy Tiegen have recently put their incredible New York City apartment on the market for $4.5 million. Though the apartment isn’t very large (just under 2,000 square feet), it is brimming with loft-like character. It is a perfect blend of gender neutral charm. 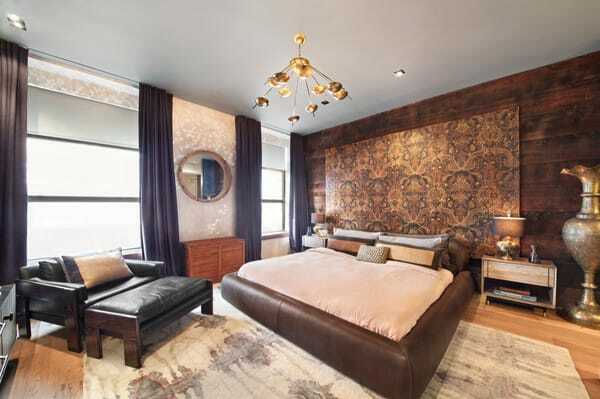 There are rough, masculine textures such as wood and brick working in beautiful symphony with softer, more feminine elements like luxurious fabrics and sheen on the wallpaper in the bedroom. It’s a great lesson in how to blend two styles to create something that suits both homeowners. The limited space of the apartment is used in clever ways from the arrangement of the furniture to the choice of lighter tones in the right places to reflect the natural light. This apartment proves that a home can feel cozy and serve as a great space for entertaining despite its limited square footage. Enjoy this beautiful and inspiring home tour courtesy of Lonny. The main living area is an eclectic mix of rustic and elegant style. 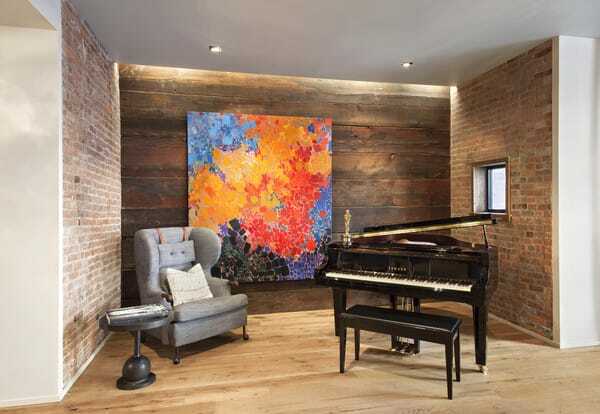 An accent wall boasts reclaimed wood that adds warmth to the space, contrasting against the white walls elsewhere. Flanking the wood wall are two brick accent walls that give this cozy corner its own identity. Black cabinets look very chic in the small but open kitchen. 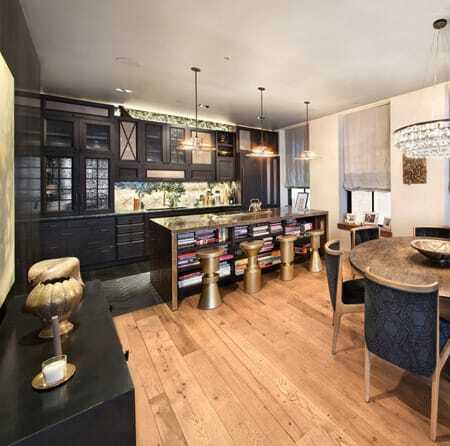 The gold stools look glamorous, yet industrial for a gender neutral elegance. The bedroom is a perfect balance between masculine and feminine touches, such as the wood wall contrasting against the light wallpaper. Another angle of the bedroom reveals the more feminine side of the space with butterfly art against a shimmering wallpaper. A silver freestanding tub is a perfect touch of character for a small but very stylish master bathroom. 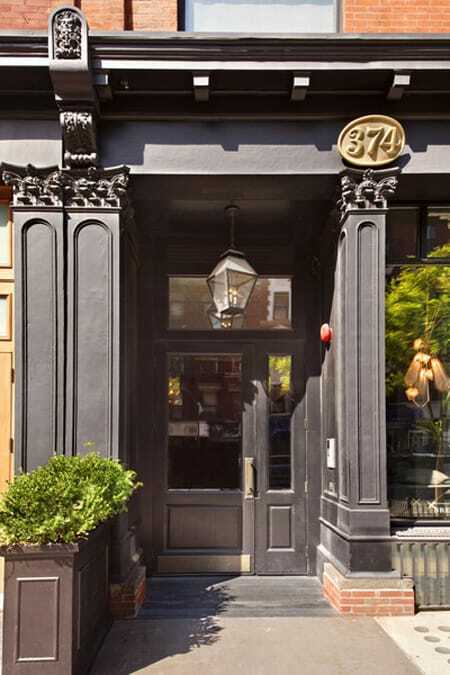 The entrance off the street is full of NYC character. 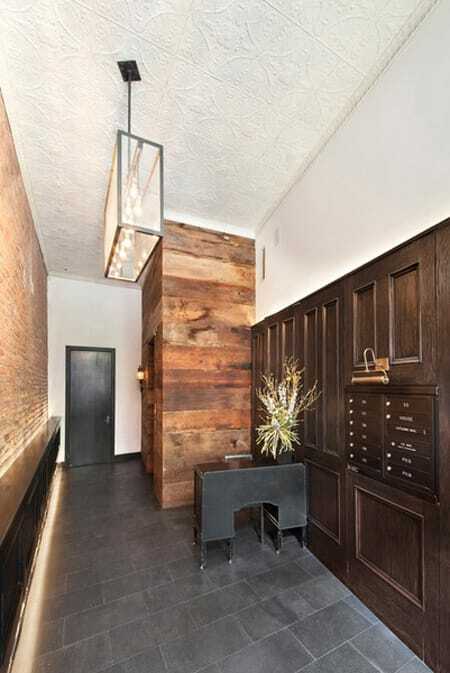 Inside, the lobby features more of the reclaimed wood and brick seen inside the apartment. 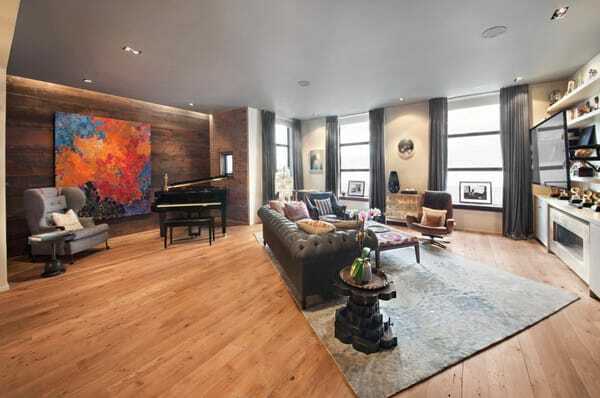 This apartment is definitely a special piece of New York City, from its great location to the amazing interior.